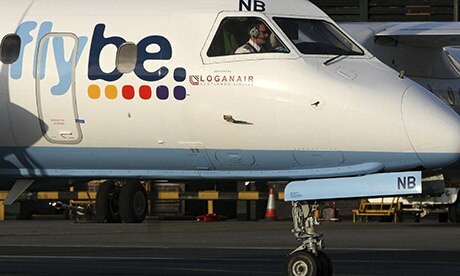 Flybe is to cut a further 500 jobs as the regional airline extends its attempts to turn around its struggling business. While the airline said its finances had improved significantly this year, returning to a slim profit over the summer months, it warned that any sustained recovery would require “tough decisions”, including further redundancies. Flybe’s new chief executive, Saad Hammad, said he would seek to reduce costs further by reviewing all aspects of the business, including cutting some routes and using planes and crew more efficiently. His predecessor, Jim French, had already implemented a turnaround plan at the Exeter-based airline that saw 490 people leave. The business had struggled in a financial downturn that disproportionately affected regional economies. The airline has also been hit hard by air passenger duty – a UK-specific tax payable on departure and thus levied for both legs of domestic return flights. Hammad, who joined Flybe in August, said it was clear the cost savings were necessary, but the company needed to do more and do it immediately. The measures to cut the workforce back to around 2,200 employees should save Flybe an additional £26m a year, beyond the £40m-plus savings already envisaged, although there will be short-term restructuring costs of more than £40m. The Unite union said it would scrutinise the business plan to limit job cuts. National officer Oliver Richardson said: “Cabin crew have already been through one major reorganisation at Flybe only recently and they will be angry that once again they are on the front line of more cuts. Pilots said they were shocked by the news, and stressed the need to preserve a regional airline to ensure growth and prosperity outside London. The British Airline Pilots Association, Balpa, said it would work to ensure as many redundancies as possible were voluntary. Jim French, the former chief executive who instigated the first turnaround plan at the airline, left the company entirely last week after standing down as chairman. Analyst Gerald Khoo of Liberum Capital said it would take time for the full benefits to show, but he saw “significant recovery potential”. He cautioned that despite the progress “Flybe remains well short of delivering sustained and material profitability”. Half-year results showed profits after tax of £13.6m on revenues that grew 3% year-on-year to £351m.